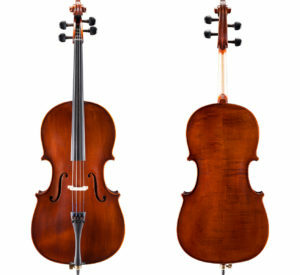 The Andreas Eastman 205 cello is an outstanding, modestly-priced step-up model cello. 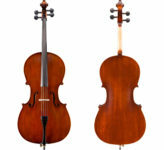 Features include: entirely hand-crafted of well-seasoned, select tonewoods, African ebony fingerboard, Hand-carved ebony pegs, and attractive and durable hand-applied brown amber antiqued varnish. This model cello is available in the Stradivari pattern and in sizes 4/4-3/4 set-up as an outfit with D'Addario Helicore strings, canvas bag, and a Cadenza carbon bow with horsehair. 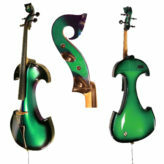 Please contact us for more information about the Eastman 205 cello outfit in smaller sizes.